Good Ocean views !! 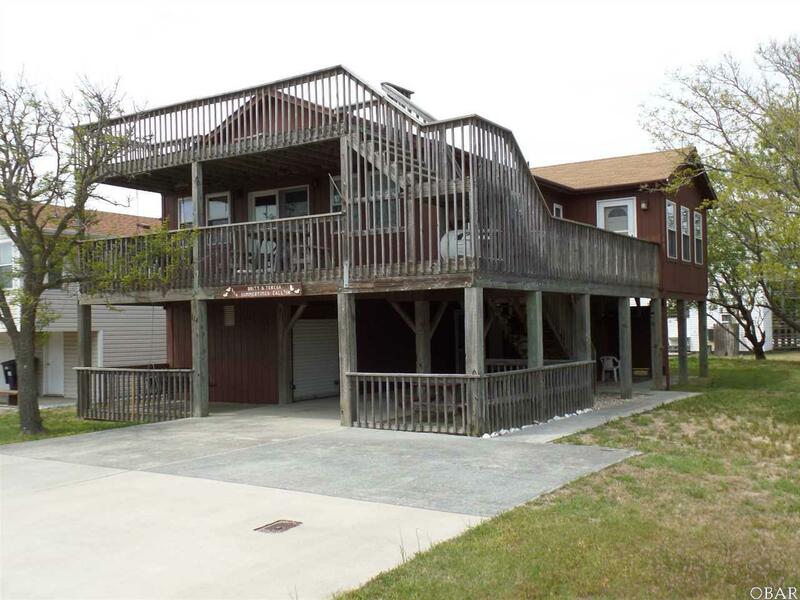 This cottage is a very short direct walk to the Ferris Ave Beach Access. Only 5 lots from the ocean. It also has good views of the Wright Brothers memorial. Lots of decks and concrete sitting/swigging areas underneath. Washer/Dryer and water heater are located in a room on ground level. There is a non-conforming heated area on the ground level (NOT INCLUDED IN THE UPSTAIRS HEATED LIVING AREA). This traditional "BEACH BOX" architecture is a charmer. A lot of house for the money.